Ahmednagar is a city in the Ahmednagar district that comes under the state of Maharashtra. Lying on the west bank of the river Sina, the Ahmednagar district by itself is the largest district in Maharashtra. Ahmednagar is located centrally in Maharashtra and hence is equidistant from Pune and Aurangabad. Aurangabad falls to its north alongside Nashik, while Pune lies to its south along with the district of Sholapur. The east side sees the Beed and Osmanabad districts, while Thane lies on the west side. Ahmednagar has a track record of more than a half a millennium worth of history, starting right back in the 1490s. Ahmednagar was established as a town back in 1494 by the Ahmed Nizam Shah. The district hence derives its name from its founder. The region’s history goes right back to the time when Ahmed Nizam Shah founded the district under the Nizami Shahi dynasty right before it was taken over by the great Mughal ruler, Shah Jahan, around 150 years later in 1636. Ahmednagar later went on to the Peshwas and the Maratha, in and around 1759 post which it was handed over to Daulat Rao Sindhia – the Maratha Chief. The British, under the leadership of Lord Wellesley, were the last of its conquerors, when Ahmednagar came as per the Treaty of Poona in 1817. The last of the great lineage of rulers of the Mughal Empire, Aurangzeb spent his last years in this very place. A small monument in Ahmednagar commemorates his noteworthy reign over the region. 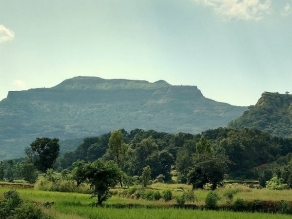 The Ahmednagar Fort is one of the major attractions in the city. It signifies Ahmed Nizam Shah’s victorious capture of the Daulatabad fort. The fort interestingly also served as a prison for our noted National Leaders who fought the Freedom Struggle. The fort held a lot of noteworthy figures as prisoners including Jawaharlal Nehru, during the Quit India Movement. The Salabat Khan’s Tomb, the Bagh Rauza and the Kot Bagha Nizam are a few other historical sites that must be paid a visit. Ahmednagar also proves to be an excellent religious destination. The Mohata Devi Temple, The Siddheshwar Temple, the Shri Vishal Ganpati Temple and the Sant Dyaneshwar Temple are a few brilliant pilgrim spots that will evoke the religious and spiritual side in you. The Shani Shinganapur village nearby is a major attraction, with the pious village of Shirdi – the abode of Sai Baba – a few kilometres away. The architecture enthusiast in you would love to explore the Historical Museum and Research Centre found here. The Tank Museum is a marvellous spot to learn more about the different kinds of tanks used during different iconic wars through the chapters of world history. 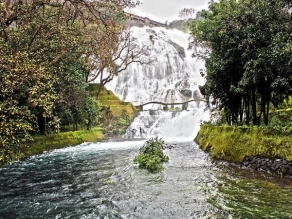 Nature lovers will definitely enjoy the Mulla Dam and the Bhandardara Dam – two scenic places that will soothe your senses and help you indulge in a luxurious retreat. Whether you have come alone or along with your family, these sites are ideal for a bit of relaxation. The climate in Ahmednagar is moderately pleasant for the most part of the year. The weather is predominantly dry and hot – a reason why visiting the place during summer may not prove to be such a great idea. The soaring temperature will leave you disgruntled in the confines of your hotel room with not much tourist activities or sightseeing to do. The rainfalls during the monsoons are sparse and hence befitting for a visit. However, the winter season – that is the period from October to March – provides for the most ideal time to take in the city in the cool and inviting weather. Ahmednagar is well connected to all major cities and towns within and outside the state of Maharashtra via a good network of airways, railways and roadways. Ahmednagar can be easily accessed from all the major cities of Maharashtra. The Pune Airport is the nearest domestic airport if you plan to fly in. By rail, the Ahmednagar Railway station is linked to all cities through regular and daily train services. There are several road travel options as well that will help you cover the 4-5 hour journey from Pune or Mumbai to Ahmednagar comfortably and at an affordable rate. 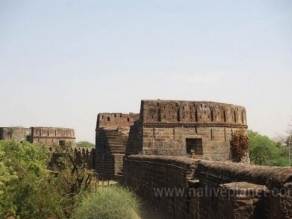 Ahmednagar has an impressive history that dates back to more than 500 years. The city is filled with rustic monuments, ancient forts, lakes, waterfalls and dams. If you plan a trip to either Pune or Aurangabad, Ahmednagar should by default figure in your list of places to see. The city has a lot to offer to the quintessential curious traveller and reserves a treat for self confessed history and architecture enthusiasts. The city invites you to observe its glorious history and participate in its promising future. Don’t miss the opportunity to indulge in this wondrous city! There are various state transport and private tour buses available from most of the cities within the state of Maharashtra till Ahmednagar. If you plan to drive down to Ahmednagar from Mumbai, the distance is around 258 km and takes approximately four hours of travel. Ahmednagar is well connected by rail to all the major towns and cities within and outside Maharashtra. There are regular daily trains from Shirdi, Mumbai (Dadar), Pune, and many more cities to help you reach Ahmednagar comfortably. The Pune Lohegaon Airport is the nearest domestic airport to Ahmednagar, at a distance of about 113 km. The Chattrapati Shivaji Airport in Mumbai is the nearest International Airport.